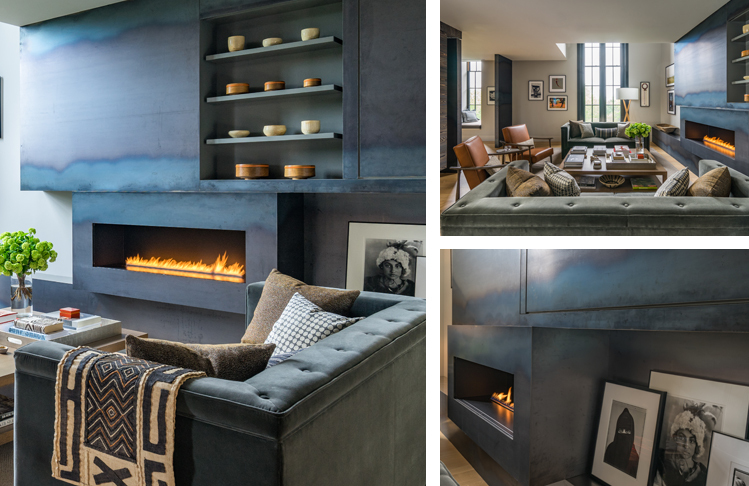 SPARK Modern Fires is thrilled to announce the winners in our annual Design Competition. This year the entries were so impressive, pushing ideas to places we have not yet seen! who was selected as the Grand Prize Winner In this year’s Competition. 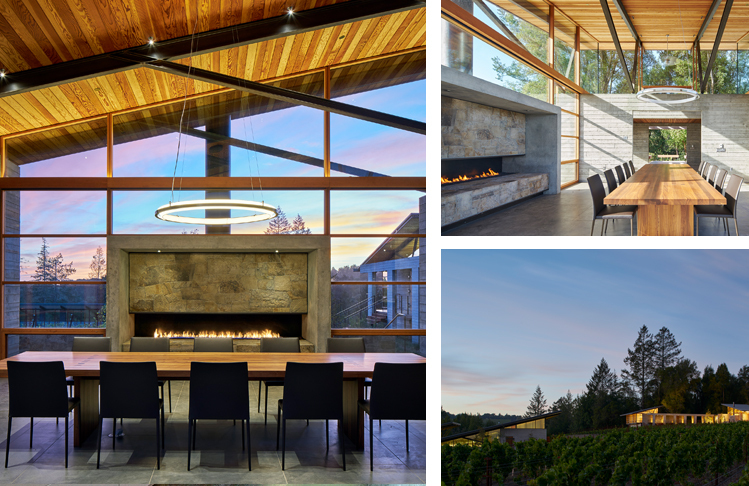 Our client asked for a new kitchen, a screened porch and a series of outdoor spaces connecting to the interior, including a fireplace, pool, gardens and terrace, all on a very steep, tiny in-town site. The excellent traditional formal rooms of the fine existing house remain and the center hall is extended through to the garden, incorporating the new kitchen as it passes along the way. As the route continues back, the ceiling goes up into a complex cubist cross-section. Here, the extended center hall stair arrives at a new 2nd floor screened porch overlooking the garden. 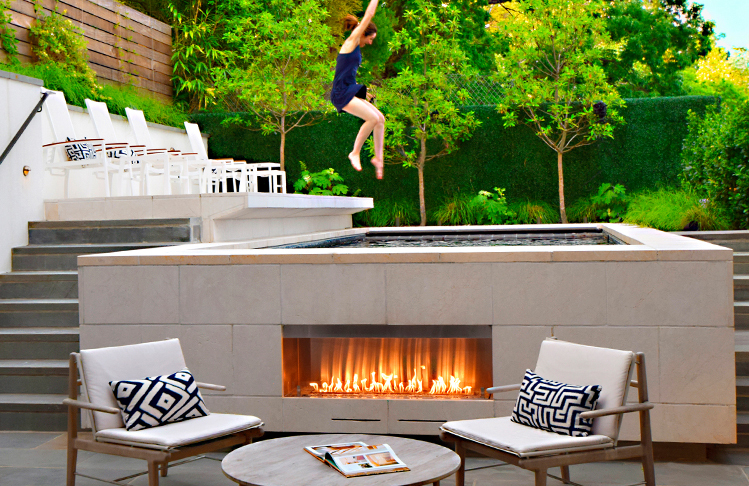 Directly outside the fully retractable kitchen doors is a small terrace with a fireplace embedded into the end of a new raised pool, allowing the flames to serve both the terrace and the kitchen. 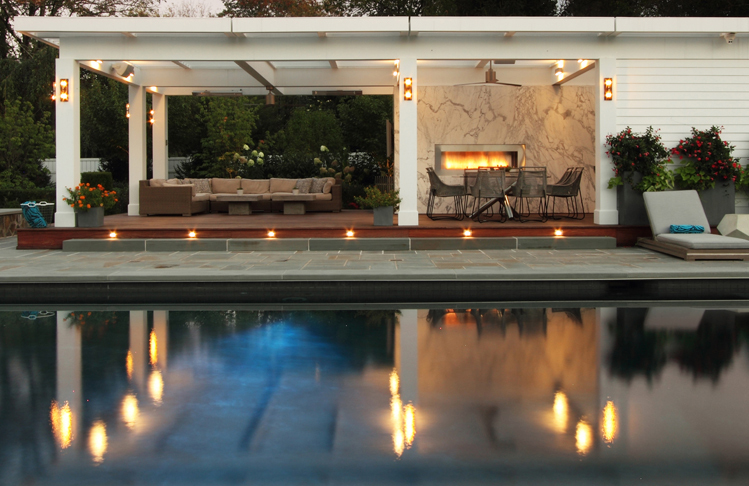 The direct juxtaposition of fire and water provides a powerful contrast of primal elements. The challenges of the tightness of the site and its topography led to a complex interlocking arrangement of interior spaces and exterior gardens and terraces, all in a tiny footprint that accounts for every square inch. It is possible to cook, dine, swim and sit by the fire, all within a distance of 12 feet.